Another week, another series of cyber crime activities in the cyberverse. Some weeks we look at the international impact of cyber security. Other weeks we consider points closer to home. This week the cyber events on which we will be reporting hit some of the topics closest to home: schools, groceries…and blogs…is nothing sacred!? Indeed, from the way that we live day-to-day lives and store or access the tools that connect us all, to the broadcasting of thoughts and data across that cyberverse, we’ve never been so connected as a human race–nor so vulnerable. Here are three of this week’s top cyber stories, including some lessons learned for next week (and beyond). Upscale supermarket chain Whole Foods (AKA “Whole Paycheck,” for their higher-than-other-chains-particularly-Trader-Joe’s pricing) has seen lots of recent payment activity. The Austin, Texas-based supermarket has 449 stores in the US (the 9th-largest by volume), but was recently purchased for $13.7 billion by the online retail giant Amazon Fresh. Just a couple of years ago we speculated that Amazon planned to venture into the $800 billion supermarket industry, to compete from that angle with such retailers as Walmart and Costco. Well, now it has. The announcement goes on to say that Whole Foods hired a “leading cyber security forensics firm” (no word on which one yet, or we’d gladly report it). They also assured customers that the Whole Foods POS system does not in any way connect to the Amazon.com system, so no Amazon transactions were affected by the cyber security breach. The site also has a drop-down menu option for you to search your state and city to see which venues may have been breached. A little over a year ago we learned that Whole Foods was replacing all of their legacy systems. The prior system had apparently been “homegrown,” and the newer one was to be a combination of systems for a smoother and more integrated solution. Everything from payroll to checkout was getting streamlined (and largely cloud-based). So if they moved to a streamlined solution, why the announcement including a “different point of sale system”? While Whole Foods and the vendor could not be immediately reached for comment, it may also have been a breach of Square, the iPad-based POS system Whole Foods once stated would become part of their overall POS solution. A cloud-level breach or a breach of a $2 million provider like Square, would both be further bad news for retailers. 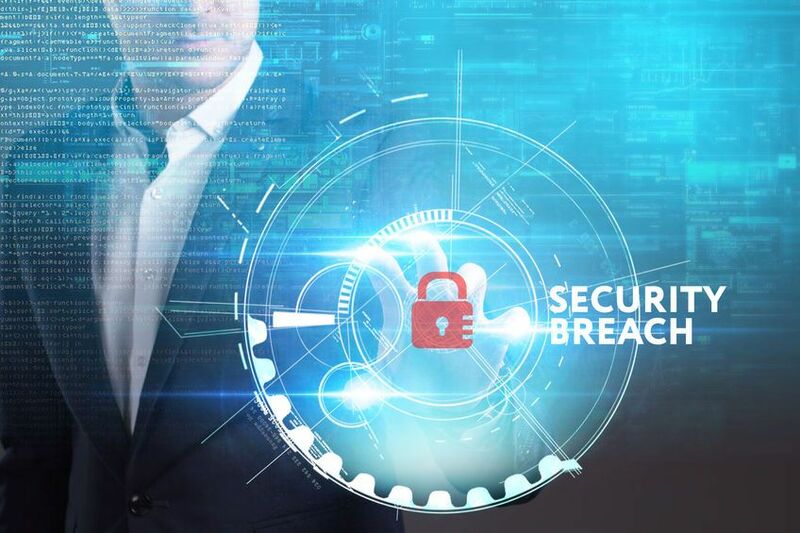 Some good news would be if the limitations of the data breach (not spreading to other POS systems under the same roof), actually represented a compartmentalization of their systems–something retail cyber security advisors have advocated for years! For now, Whole Foods is saying updates will come, and to check your card statements for fraudulent purchases, the same lackluster-but-necessary advice offered after every cyber crime. Every business is in the cyber security business, whether intentionally or not. Just as businesses of any size manage payroll, renew elevator permits, or accept inspection from the fire marshall, using computers, for anything, means that cyber security is part of your business. To the degree that that is understood and addressed, you have better protective measures in place. Digital connections – As many as several thousand devices connected to or around schools, when factoring in student personal devices. Employee information – Like other businesses, schools retain massive quantities of employee data that can fetch a price on the cyber black market. Financial information – Just as other businesses offer direct deposit or pay vendors through electronic means, schools risk exposure or theft of financial information through digital means. (Just look at this horrific example unfolding from Atlanta Public Schools, where paychecks were stolen and direct deposits changed). Student information – Schools are in the same category as doctors’ offices when it comes to personal data on file because they also have such information on record as names, addresses, social security numbers, school-related medical information or doctor’s data, parent information and even report cards or disciplinary data all on file. Yet school systems don’t necessarily think about preventing cyber crime until they’re the victims. The latest victim is in Montana, where the Flathead Valley Schools (more than 30 public schools) closed their doors for two days (plus weekend activities) in response to threats stemming from a hack, which may have had international origins. According to their local news, the FBI has gotten involved in the attack. The culprits appear to be TheDarkOverlord, a self-proclaimed security “solutions” company. Many of the clues about the case come from their ransom letter itself, such as the inconsistencies in grammar, spelling (“honour” for honor), and reference to “your little corner of the world” that seem to indicate a foreigner. The threats of the ransom note also included multiple references to the Sandy Hook school shooting, as well as a menacing statement about contacting the FBI. For now, school is back in session and the FBI is continuing the investigation. Other schools and businesses may take a page from this book and be proactive about preventing cyber crime. It’s almost as though you can’t have a large target without somebody trying to hit it. The news first broke at Sucuri: someone had made fake plug-ins for WordPress. Like most fakes, they made the name similar to a legitimate plug-in. That’s the technique used in all kinds of phishing scams, spoofed websites and other hacker tactics. You get an email from “Yahoo” without the exclamation mark or “Aple.com” with one “p,” and suddenly you’ve fallen for the bait. This time the bait was designed to look like security plugins for WordPress sites. The real plug-in is called WP-SpamShield Anti-Spam. The fake went by the innocuous-sounding X-WP-SPAM-SHIELD-PRO. It masqueraded as a security scrubber, with subfiles that also sounded legit. It disables all your plug-ins (making its life easier), then steals your admin usernames, adds an additional administrator (itself), pings home (to inform its creator of installation status), and contained a backdoor “update” function, allowing them to upload anything to your site, among other features. While malware can be purchased on the dark web, this one had some pretty sophisticated coding. Fortunately, after the Sucuri article, the WordPress community quickly spread the word and the malicious, phony plug-in was deleted. This wasn’t the first time someone tried to infiltrate WordPress, nor shall it likely be the last (again, just given the sheer size of the target). So, investigate plug-ins in a secure space before you go installing them, as a word of advice. Well, off we go to update our own blog and continue to research, analyze, and rescue organizations, one company at a time. Until then, tune in next week, same bat-channel, same bat-time, and enjoy the headlines…but stay out of them. Case Study: What Do These 10 Cyber Security Disasters Have in Common?